Cardinal Health sponsors continuing medical educational events for healthcare professionals across the country. You can register for upcoming sessions here, or watch archived webinar recordings at any time, from anywhere. These Cardinal Health sponsored events are presented by esteemed professionals in the world of healthcare and research, and managed by Whitehat Communications to ensure a professional environment. Attend these basic level webinars at no cost - all offer one P.A.C.E.® Continuing Education contact hour for up to six months after the live event. Be sure to check back often for new event postings. For information on Cardinal Health laboratory products, please visit our website here. Hospital laboratory outreach programs have existed for many years and are designed to turn unused analytical capacity into additional revenue, leverage the hospital’s community brand and provide continuity of care for patients and providers. Successful outreach programs demonstrate well-coordinated logistics, customer service, revenue cycle processes and robust information technology platforms. Organizational awareness and executive level support are critical to ensure the success of an outreach program. In an unprecedented era of declining reimbursement, hospital laboratory outreach programs can still be profitable, deliver value and play a vital role in the health care continuum. This presentation will review the key elements of infrastructure necessary to compete in today’s outreach market. Opportunities to maximize the contribution margin of laboratory services and reduce operating costs will be discussed. Finally, tactics to navigate the numerous challenges facing outreach laboratories today will be explored. Steve Finch has over 23 years of healthcare experience. He currently serves as Vice President of Operations for the University of North Carolina Hospitals in Chapel Hill, North Carolina. In addition to his role at UNCH, Steve also serves as Regional Director of Clinical Laboratory Services for UNC Health Care System. He has an extensive knowledge of health care operations in a variety of clinical settings and a passion for perfecting the patient experience while delivering cost effective care. Proficiency Testing (PT) is an external inter-laboratory quality control that simulates real patient samples and the testing of those samples. The performance of each participating laboratory is compared with the collective performance of all participating laboratories. Participation in an approved PT program is part of the laboratory’s Quality Assurance requirement under the Clinical Laboratory Improvement Amendments of 1988 (CLIA 88). Reports from PT are sent to laboratory oversight bodies and regulatory agencies. Routine review of PT results will alert your laboratory director of areas that are not performing as well as expected. PT testing is an important tool for ensuring your testing is accurate and reliable. All PT results scoring less than 80% will require troubleshooting and corrective action. A survey of inspectors for CLIA, COLA and CAP has identified PT as one of the top 3 areas for deficiencies and citations in the clinical laboratory. Many laboratories, whether unknowing or understaffed fail to treat PT samples the same way they treat patient samples. Unsigned attestation and failure to perform corrective action are other common areas of concern. Following the information provided in this webinar, you will be able to identify the pitfalls in your PT program and turn them into positive outcomes. Margaret Blaetz began her career as a Medical Laboratory Technician specializing in Microbiology and obtained her Bachelor of Science Degree at Glassboro State College (Rowan University). Her 30+ year career in laboratory science includes clinical laboratory management, sales and customer service for a national laboratory, and research and development of diagnostic test kits. Labs are under increasing scrutiny from government and commercial payors, and audit and recoupment actions are on the rise. Labs are charged with taking reasonable steps to ensure they are submitting claims for services that are reasonable and necessary and not for those that are not covered. When it is not possible to support medical justification for testing or provide appropriate documentation of claims, labs are vulnerable to recoupment actions. Furthermore, a laboratory subject to an audit is considered to be in possession of credible information of an overpayment and must initiate a review as required by the Reverse False Claims Rule (also referred to as the 60-Day Rule). This presentation will help participants better understand the payor audit process and prepare the organization to respond. From recognizing the significance of initial correspondence to responding effectively to initial and subsequent rounds of review, the presentation will take participants through the payor audit process from a government perspective and compare and contrast typical government audits with typical commercial audits. This presentation will also provide labs with information on the Reverse False Claims Rule/60 Day Rule. Finally, the presentation will identify some best practices that labs can implement now to prepare for payor audits. Liz is a co-chair of the National Healthcare Practice at McDonald Hopkins, LLC. She has assisted clinical laboratories, hospitals, pathology groups and many other healthcare providers on regulatory, licensing, compliance, reimbursement, contractual, and corporate matters. Courtney is a member of the Health Law group at McDonald Hopkins, LLC in its West Palm Beach office. She counsels and represents clients in a variety of health law areas, including, federal and private payor audits and disputes, reimbursement, contract, corporate, enrollment revocations, payment suspensions, and many others. For the clinical laboratory industry, look for 2019 to be another challenging year on the reimbursement front as a second round of Medicare cuts of up to 10 percent for many lab tests take effect under a market-based fee schedule required by the Protecting Access to Medicare Act (PAMA). Even as the American Clinical Laboratory Association (ACLA) appeals a federal court decision upholding PAMA, the Centers for Medicare & Medicaid Services (CMS) moved to require most hospital labs to start reporting private payor data during the next scheduled reporting period: Jan 1 to June 20, 2019. At the same time, industry interests are supporting a legislative strategy to get Congress to mitigate future PAMA cuts. Meanwhile, federal oversight of laboratory developed tests (LDTs) remains in limbo with the Food & Drug Administration signaling that Congress should take the lead, leaving it to key legislators to formulate a consensus bill. In addition, CMS is weighing industry feedback to announcements seeking public comment on whether to revise certain regulatory requirements under CLIA and the Stark self-referral law. Finally, the Trump Administration is moving ahead with administrative changes to dilute consumer protections under the Affordable Care Act despite a newly divided Congress starting in 2019. Find out how these policy shifts and other key national trends are affecting the way labs conduct business. A nationally known, independent analyst, consultant and thought leader for the clinical laboratory and anatomic pathology sectors for over three decades, Dennis is President of Dennis Weissman & Associates, LLC, Falls Church, VA, a consultancy which provides market intelligence, M&A advisory services, business leadership and public policy advice to diagnostic and life science companies and organizations. Mr. Weissman has expertise in Medicare and health care reform policies and trends; clinical laboratory and pathology payment & compliance policies as well as business trends affecting the diagnostic sector. As the healthcare industry transitions from fee for service to value based reimbursement, hospital systems are challenged to improve quality while reducing costs. While laboratory spending only accounts for 2-3% of overall healthcare costs, the laboratory drives 70-80% of downstream medical decisions1,2. For this reason, proper laboratory stewardship is a critical in today’s healthcare industry. This webinar will explore essential steps to establish an effective lab stewardship program including governance and structure of stewardship committees. Dr. Fletcher will also outline strategies for implementing successful laboratory stewardship interventions. These strategies include consolidation of reference testing for cost reduction and improved turn-around time, reference test formulary development to limit inappropriate inpatient tests - and appropriate utilization of in-house testing including discussion on the impact of order-sets, recurring daily lab tests and duplicate lab tests. Each of these strategies will drive downstream savings and improve the quality of patient care in healthcare systems. Dr. Fletcher is a board-certified anatomic/clinical pathologist and certified physician executive with significant experience in leading quality across an organization and reducing clinical variation to effectively drive safety and value. He has a doctor of medicine degree from the Mercer University School of Medicine in Georgia and is currently pursuing his MBA from the University of Massachusetts at Amherst. Dr. Fletcher has received numerous awards for quality and utilization, including research grants for blood utilization. The College of American Pathologists (CAP) Laboratory Accreditation Program checklists are updated regularly to keep laboratories on the forefront of the latest regulatory requirements and technological advances to ensure accurate and reliable laboratory processes. The most recent checklist edition, published August 2018, is now in the field for CAP laboratory inspections. This checklist includes nearly 3,000 requirements organized into 21 checklists which are used as a guide to assess the laboratory’s overall management and operation. Join this webinar for insight into the latest revisions to the CAP Laboratory Accreditation Program checklist requirements and use CAP resources to identify checklist updates. You will learn how these updates will impact the inspection process, discover the rationale behind the changes and receive helpful guidance for implementation in your own laboratory. Dr. West is a pathologist at CHI Health/Creighton University Medical Center in Omaha, Nebraska. He is currently Chair of the College of American Pathologists Checklists Committee and member of the Commission on Laboratory Accreditation. Dr. Goodman attended University of California at San Francisco for medical school and residency in pathology and laboratory medicine and is board certified in anatomic pathology, clinical pathology, and cytopathology. Clostridium difficile infection (CDI) is the most common healthcare-associated infection in the United States. In 2011, the Centers for Disease Control and Prevention (CDC) estimated 500,000 cases and more than 29,000 deaths were caused by C. difficile. To combat this growing health problem, the Infectious Diseases Society of America (IDSA) and the Society for Healthcare Epidemiology of America (SHEA) updated their clinical practice guideline for CDI. This guideline serves as an important resource for the medical, infection prevention and public health communities1. This webinar will discuss the clinical background of CDI and the role of molecular testing that is used by more than 70% of hospital laboratories. Molecular testing can not only help rule out CDI but also help reduce CDI transmission by detecting CDI in patients2. We will discuss the incidence, role, and clinical impact of C. difficile as a human pathogen. Also discussed will be the impact of the modified CDC’s National Healthcare Safety Network (NHSN) guidelines on public reporting of C. difficile cases in the United States. We will also review testing options including molecular diagnostics, recommended treatments, and prevention measures in the hospital setting. Dr. Ledeboer is a Professor and Vice Chair of Pathology and Laboratory Medicine at the Medical College of Wisconsin and the Medical Director of Microbiology and Molecular Diagnostics for Wisconsin Diagnostic Laboratories and Froedtert Health. His research endeavors, particularly in the area developing diagnostic tools for infectious diseases, have led to more than 80 publications in peer-reviewed journals and more than 100 funded research projects. Dr. Ledeboer is also a senior editor for the Journal of Clinical Microbiology. Lean six sigma principles have made their way into the anatomic pathology laboratory and applying lean tools and methods can have a positive impact on any size histology laboratory operation. When applied into everyday practice, lean can play a key role in a histology laboratory’s operational efficiency. Lean concepts can support continuous improvement initiatives that focus on patient safety, error proofing and reduction of waste. A histology laboratory can benefit from lean principles as they transition away from traditional specimen handling and processing methods moving towards implementation of small batch handling and continuous processing. This presentation will serve as a basic introduction of lean principles as it is applied to histology practice. An overview of operational challenges of histology highlighting common practices that are lean improvement opportunities will be discussed. Participants will learn to evaluate histology processes from the lean perspective. Examples of lean applications to improve patient safety, specimen tracking, and case integrity will be shared. After this presentation, participants will have a better understanding of best practice and basic lean concepts applied in the histology laboratory, and recognize common practices that are considered to be potential patient safety risks. 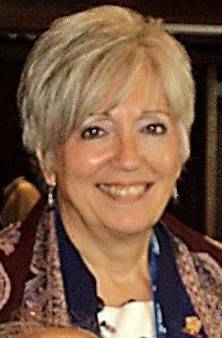 With 27 years of experience in pathology as a laboratory director, manager, and histotechnologist, she is a published textbook author in the field of Histotechnology and a workshop instructor/teacher at national conferences on subject matters of lean, laboratory performance metrics and histology technical practices. Christa served as a committee member of national organizations and regulatory agencies (ASCP, CAP, NSH). Laboratory testing is absolutely necessary for patient care, and the role of high-value diagnostics continues to increase in importance across the continuum of care. High quality, cost-effective and appropriately-utilized laboratory tests are essential in achieving healthcare’s Triple Aim. Triple Aim is a framework developed by the Institute for Healthcare Improvement (IHI) as an approach to optimizing health system performance. This framework encompasses three dimensions that must be pursued in order to have Triple Aim success1. This presentation will focus on the first dimension: improving the patient experience of care. Today, the physician-centric model of “Doctor Knows Best” is no longer the only consideration. Have we ever asked the patient, “What will an abnormal result mean to you?” With the patient experience becoming the center, healthcare delivery systems must leave the status quo behind and develop processes that are intentionally focused on what is important to the patient. This focus will drive improvements in patient transactions, access and efficiency while managing costs; and when managed properly will create increased loyalty and help improve outcomes. Jane Hermansen has over 30 years of clinical laboratory experience, within community hospital and academic medical center settings. At Mayo Clinic since 1988, she currently directs the outreach consulting and health plan contracting network activities for hospital laboratories across the country. Jane holds a B.A. in Medical Technology from Concordia College in Moorhead, Minnesota and a Masters of Business Administration degree from the New York Institute of Technology. In today’s evolving health care environment, clinical laboratories must make the transition from a fee-for-service model to fee-for-value models and patient’s centered models. With this shift, a new clinical and business model, known as Clinical Lab 2.0, is emerging for medical laboratories. Clinical Lab 2.0 takes a broader view of the value of laboratory medicine by encouraging laboratories to expand their services to provide integrated care across a health system1. This session will present an illustrative case study on how FirstPath Laboratory, a South Florida lab providing state of the art diagnostic Anatomic Pathology services for the physicians and patients, has applied Clinical Lab 2.0 to address a pressing issue being faced today: what can be done to keep patients out of the hospital? By partnering with telemedicine services, FirstPath has been able to provide mobile bedside laboratory testing by licensed laboratory professionals. This service extends laboratory quality testing to the patients’ bedside resulting in significant cost savings, improved on-site patient care and ultimately reducing emergency room visits. Leo Serrano, is the Clinical and Operational Consultant for FirstPath LLC located in Pompano Beach, Florida and a recognized thought leader and international speaker on Clinical Laboratory Medicine. He has over 50 years of laboratory management experience with an expertise in a number of clinical specialties. A Lean Six Sigma Black Belt, Leo directed the first U.S. hospital laboratory to achieve ISO-14189 accreditation, which re-accredited for a second cycle. Participants will leave this session with a broadened knowledge of laboratory stewardship that supports implementation and measurement of successful interventions. Moreover, participants will understand that ‘utilization management’ is just one component of laboratory stewardship. Suzanne Carasso, a medical technologist, has leveraged extensive technical and managerial experience in the clinical lab to transition into healthcare consulting. She is currently employed by ARUP Laboratories. Specific areas of expertise include strategic business planning for integration and consolidation of laboratory services, evaluation of laboratory operational models, laboratory stewardship, and outreach development. Suzanne also speaks at regional and national laboratory meetings and is a published author in a variety of healthcare journals. Dr. Killeen is the Ellis Benson Professor of Laboratory Medicine and Vice-Chair of the Department of Laboratory Medicine and Pathology at the University of Minnesota in Minneapolis. He received his undergraduate and medical degrees from the National University of Ireland at Galway. Diagnosing Group A Strep pharyngitis: Which Technique is Best for You? Acute pharyngitis is responsible for 15 million sick visits per year in the United States, with Group A strep accounting for 20-30% of pediatric and 5-15% of adult cases1. If not accurately diagnosed and treated, it can also lead to more serious complications, especially in the pediatric population. This presentation will cover the various ways in which a diagnosis of Group A Strep can be achieved. Traditional microbiology laboratory workup will be covered, as well as molecular techniques for diagnosis along with Point-of-Care (POC) testing techniques. Included within this presentation will also be the recommendations by the Infectious Disease Society of America related to lab workup and treatment for Group A Strep. The webinar will also discuss testing cost and how it relates to decisions on which testing methodologies to utilize within your laboratory. Gregory J. Berry is a Diplomate of the American Board of Medical Microbiology and an Assistant Professor of Pathology and Laboratory Medicine at the Donald and Barbara Zucker School of Medicine at Hofstra/Northwell. He is also the Director of Molecular Diagnostics and an Assistant Director of Infectious Disease Diagnostics at Northwell Health Laboratories in New York. Assessment of laboratory quality is broken down into 4 phases; general, pre-analytical, analytical, and post-analytical. While the laboratory has control over the general (safety, policies, proficiency testing) and analytical portions, pre-analytical and post-analytical quality are often outside of their hands. Post-analytical quality refers to the processes that occur after the lab testing is completed including patient reports, communication and complaints. Pre-analytical specimen integrity is just as critical to the result reported by the laboratory. The laboratory must have processes in place to educate the customer on specimen collection, specimen storage and specimen transport. The laboratory must also have processes in place to identify when to reject specimens based on improper collection, storage and/or transport, and to communicate back to the customer in a manner which will provide education for improved specimen quality. Following a year of sending mixed policy signals to the healthcare industry, including the clinical laboratory sector, Washington policymakers will be grappling with a host of healthcare issues in 2018. These issues will range from key decisions impacting the Affordable Care Act to potential budget cuts affecting the Medicare and Medicaid programs. This presentation will examine the latest national policy developments and trends affecting clinical labs. This includes the outlook for a new Medicare market-based national fee schedule that would make major payment cuts for many lab tests, how Medicaid and commercial insurer reimbursement to labs will be influenced by the changeover to Medicare market-based rates, the status of laboratory developed test oversight by Congress and the Food and Drug Administration, and lastly, the leading Washington policy challenges for the lab industry in the year ahead. Analyze the latest policy initiatives affecting the Affordable Care Act for the short and longer term. Discuss the outlook for federal budget cuts to Medicare and Medicaid and the impact they would have on both beneficiaries and providers, including labs. Review the status of a new Medicare market-based payment system for lab testing and how payment rates will change starting in 2018. Identify top federal policy challenges for labs over the next year. Chandra Branham, J.D., joined the Advanced Medical Technology Association (AdvaMed) as Vice President, Payment and Health Care Delivery Policy, in 2011. Julie Khani became president of the American Clinical Laboratory Association (ACLA), the largest organization representing the public policy interests of laboratories, in 2017. Clinical laboratories are swimming in data. However, many opportunities for improvement in the laboratory may go unrecognized. Studies are performed and actions are taken on common metrics like turn-around time and test volume while other, potentially more revealing metrics receive little focus. Workflows and activities such as specimen flow, testing protocols and pre-authorizations linked to the EHR, and blood utilization tactics are examples of where opportunities exist to uncover operational efficiencies and cost savings. The ability of the clinical laboratory to effectively utilize available data will become increasingly important as the laboratory faces challenges on staffing and reimbursement. Opportunities also exist for laboratorians to utilize the data generated in their laboratories to educate providers, care teams, and patients which positively impacts patient care. This webinar will describe three different projects that utilized unexpected data points to affect change to the laboratory workflow and clinical care. Discuss sources of unexpected data in the laboratory and how they can be used for improvement efforts. Identify the need for data to support improvement efforts or implementing change. Describe a process whereby current data sources can be tweaked for use in specific improvement activities. Define financial and operational benefits associated with utilizing unexpected sources of lab data. 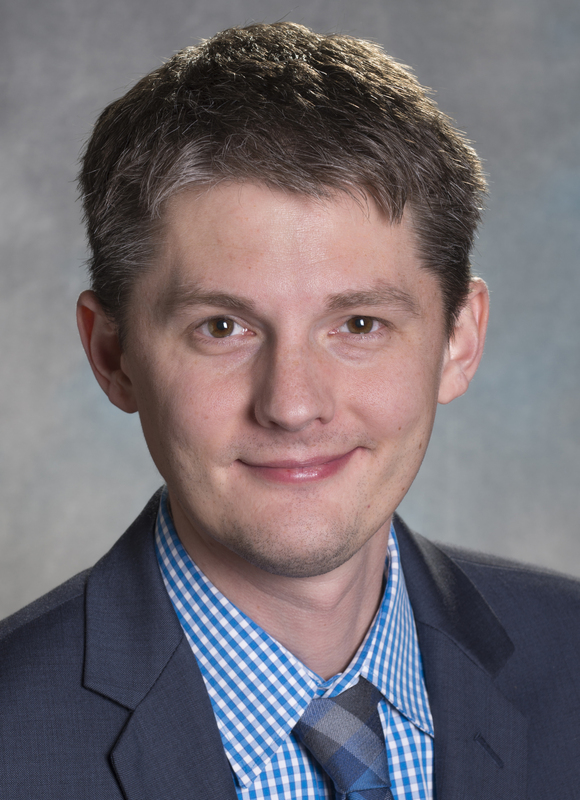 Jordan Olson is the medical director for clinical pathology informatics in the Geisinger Medical Laboratory, the medical director of pre-analytics and phlebotomy, and the medical director for the Geisinger Bloomsburg Hospital laboratory. Dr. Olson completed his undergraduate and medical school at the University of Wisconsin-Madison School of Medicine and Public Health. The new era of healthcare reform is here. Not only is there no going back, but maintaining status quo in healthcare organizations that operate inefficiently is a costly and unsustainable business model. Now is the time to adopt a new way of thinking and behaving around cost containment. Healthcare systems that get it will survive. Those that don’t likely won't. Laboratory testing plays a central role in healthcare delivery that impacts both costs and outcomes. Unfortunately in some organizations, the laboratory is viewed as little more than a cost center that runs tests and reports results. In order to change this perception, labs must demonstrate quantifiable value well beyond the delivery of test results. When labs actively engage with clinicians to educate, inform, and support optimal test utilization, the transition from cost to value center has begun. Utilization management has come to the forefront as an effective way to optimize laboratory testing in ways that benefit patients first and foremost, while driving down the overall cost of care. This presentation will discuss the components of an effective utilization management program. The speaker will present a roadmap for improving utilization management, provide specific examples of successful approaches, and highlight opportunities for improvement. Identify industry trends driving the transition from volume to value-based healthcare. Discuss key metrics associated with inappropriate test utilization. Describe five components of the utilization management roadmap. Cite successful strategies, beyond laboratory formulary, to optimize test utilization. Define ways in which laboratories operate as value centers. Suzanne is currently Director, Business Solutions Consulting with ARUP Laboratories. ARUP is a leading national reference laboratory owned by the University of Utah. As spokesperson for ARUP Laboratories Consulting Division, Suzanne works with a variety of organizations across the United States including large academic medical centers, integrated delivery networks, multi-hospital health systems, community hospitals, children’s hospitals, independent laboratories and group purchasing organizations. FDA’s New Reclassification of Rapid Influenza Diagnostic Tests: Are you Prepared? This webinar will review the FDA reclassification of RIDTs, discuss the new sensitivity and specificity requirements for RIDTs, and provide an overview of the products on the market that meet the new requirements. Also covered in the webinar will be information on how long products not meeting the new requirements can be sold by distributors and manufacturers, as well the date up until which laboratories may use such diagnostic devices. This webinar is intended to help enable laboratories to prepare for the changes and minimize any impacts to established influenza protocols. Click here to learn more about Cardinal Health’s influenza testing platforms that ensure FDA compliance. Click here to download questions and answers from this webinar. Gregory J. Berry Ph.D., D(ABMM) is an Assistant Professor of Pathology and Laboratory Medicine at Hofstra Northwell School of Medicine and an Assistant Director of Infectious Disease Diagnostics at Northwell Health Laboratories in New York. He is also a Diplomate of the American Board of Medical Microbiology. The dynamics of the healthcare are that the industry will continue to be fluid, with evolution and change continuing for the next several years. Beyond healthcare policy, change will be driven by multiple factors. These factors range from value-based care to technology and data to the demographics of the people accessing care. The macro trends identified will impact the industry as whole, but have downstream implications and opportunities for the clinical laboratory. The role of the laboratory is evolving relative to patient care as well as how it supports the goals and initiatives of its hospital or healthcare system. This shifting role requires laboratories to think differently and quickly respond to the changes in their environment. Considerations for the laboratory include how to better utilize the data they generate, the expanding role of precision medicine, and addressing how millennials want to consume healthcare and diagnostic testing. This webinar will outline the six trends that will change healthcare in the next 5 years. These trends were identified as a result of a multi-faceted study conducted by Huron Consulting Group and have several downstream implications to the clinical laboratory. By recognizing the opportunities that exist for the laboratory in response to these trends, the laboratory will be well positioned to create value within their system. Ted is an industry leader in innovation through his work with clinicians, executives, and governing bodies around the country, helping them design the next generation of healthcare organizations. Prabha brings over 15 years’ consulting experience focused on care delivery strategy, innovation, and measurable improvements in access, quality, cost, and patient experience. Within the clinical laboratory, quality has multiple components. The most thought of component of quality relates to CAP (College of American Pathologists) inspections, accreditations, and standard regulatory compliance activities. Clinical laboratories often struggle to justify the resources to adequately support quality management and regulatory compliance programs. Many times this is due to lab quality efforts being viewed as a costly and necessary evil to achieving regulatory compliance. What often goes unrecognized are how quality management programs can be utilized to drive expense out of laboratory operations. For example, robust quality management programs can help reduce expenses associated with lost specimens, repeat testing and reagent management. This session covers the concept of Cost of Quality, but focuses on the cost of poor quality (CoPQ). Methods for labs to calculate and capture CoPQ will be discussed. Armed with actual CoPQ data, laboratories can begin to speak the language of the "C Suite" by demonstrating improvement in financial performance. Labs can begin to portray their quality programs as mechanisms to achieve cost savings and cost avoidance, in addition to the quality, regulatory and patient safety benefits that are already well recognized. Discuss the concept of Cost of Quality and its components. Differentiate between hard and soft costs associated with quality management. Review methodologies to capture and track Cost of Poor Quality (CoPQ). Analyze how labs can use CoPQ data to demonstrate a return on investment for their quality efforts. Jennifer Dawson is Senior Director, Quality for Human Longevity, Inc in San Diego, CA where she is responsible for building a best practice Quality Management System as well as for CLIA compliance and obtaining CAP and CAP 15189 accreditation. She formerly served as Vice-President Quality for Sonic Healthcare USA and was responsible for developing their quality management system. Laboratory testing provides more than just a snapshot of a patient’s medical condition at any point in time. Leveraging the power of the information provided by the laboratory can have significant impact on other downstream costs within the health care ecosystem and beyond to community health. This webinar will provide case studies on how laboratory information is being used at a large integrated health care delivery system to lower cost and improve patient outcomes. Case studies will discuss how the data generated by the laboratory can help educate patient care teams, streamline/optimize test ordering, and provide visibility to patient adherence. Ran Whitehead is the Chief Executive Officer at PeaceHealth Laboratories. He has enhanced the company’s reputation for technical and clinical excellence, collaborative partnerships, and innovative programs. Ran has led initiatives such as a distance learning program that was later adopted by laboratories across the country. As clinical management and lab operators, your day may be consumed with daily operational or service issues. Some days, it’s about all you can do to get through one more day. It is hard to set aside time to think strategically or understand what your laboratory management executive is thinking. This webinar will reveal the 5 steps you can take to create value and change the perception of your laboratory and outreach programs by hospital and health system executives. Apply relevant strategies to position yourself and your lab proactively for change and growth based on changing healthcare dynamics. Kathleen A. Murphy, PhD, Senior Growth Advisor Chi Solutions, Inc.
Kathleen A. Murphy, PhD, Senior Growth Advisor for Chi Solutions, Inc., an Accumen company, is a noted laboratory expert, speaker, and author. Over her 35 years in laboratory management and consulting, including her former role as the CEO of Chi, Dr. Murphy has gained broad industry experience in laboratory strategy, turnarounds, and outreach. She is the author of The Profit Machine in the Hospital Basement: Turning Your Lab into an Economic Engine (Ellsworth Press, 2016). Utilization of laboratory services is of constant concern because of the cost to our health care system, the drain on laboratory resources, and the waste of valuable time in diagnosing, treating and managing patients. A recent article in the Journal of the American Medical Association (JAMA) suggests that there are also patient safety issues that must be considered. This webinar will report on the progress of the CDC project known as the Clinical Laboratory Integration into Healthcare Collaborative (CLIHC). This project has been examining how physicians order laboratory tests, what they need to be able to order appropriately and what gaps need to be filled by laboratory professionals. These projects give us a better understanding on what clinicians know about laboratory science and medicine. This presentation will also examine several different approaches to controlling utilization and discuss how to implement utilization programs. The “how” is very dependent on many factors, several of which will be described, that exist in every healthcare setting. Describe the Clinical Laboratory Integration into Healthcare Collaborative (CLIHC) project. Discuss instances of miscommunication, poor utilization of laboratory services and patient consequences. Analyze barriers and solutions currently being discussed in various institutions. Evaluate implementation processes that might be useful in your setting. Elissa Passiment is a clinical laboratory scientist with over twenty years’ experience in clinical laboratories as staff, educator and manager and another twenty years in health care consulting, association management and health policy. Ms. Passiment has served on the congressionally mandated Negotiated Rulemaking Committee convened to standardize and simplify reimbursement for laboratory services under Medicare Part B; presented testimony to Institute of Medicine studies, and represents ASCLS at meetings with the FDA, CMS, and CDC. The nation’s healthcare system has been steadily shifting from fee-for-service to fee-for-value models and patient’s centered models. This transition has created opportunities for clinical diagnostic laboratories to partner within their healthcare systems on initiatives, such as improved patient outcomes, lowering readmission rates, and reducing the cost of patient care. This approach not only provides benefit to patients and the healthcare system but also enables laboratories to play a more integrated role in the care of patients. With the rapid advancement of molecular diagnostic testing, there is an increasing need for the laboratory to provide education and decision algorithms to help mitigate unnecessary testing. Creating guidelines to help clinicians navigate the increasingly complex landscape of molecular diagnostics is another opportunity for the laboratory to support the transition to value based care. Optimal utilization of laboratory testing and the implementation of clinician decision support tools have enabled numerous healthcare systems to lower their laboratory testing expenditures and improve patient care associated with high-risk infections and conditions. The mechanisms for achieving, and the benefits associated with, proper laboratory test utilization can be achieved in a variety of ways. Critical to the success of laboratory test utilization programs is partnering with providers in the development of test plans and protocols. Utilizing a collaborative approach across the organization will help ensure adoption and adherence to new protocols. This presentation will provide information on the how clinical laboratories can utilize testing protocols to help their healthcare systems to reduce costs and achieve goals associated with CMS’ Core Measures and Hospital Consumer Assessment of Healthcare Providers and Systems (HCAHPS) scores. The benefits of enhanced utilization of laboratory testing and the utilization of decision support tools to enable improved patient outcomes will be discussed. Considerations and best practices for effective implementation and adoption of laboratory test utilization programs will be reviewed. Identify how the laboratory can partner with stakeholders across the healthcare system to reduce healthcare costs by properly utilizing laboratory tests. Define how laboratory test utilization and decision support tools can enable clinicians to improve patient outcomes. To download the Quality Chasm Series: Health Care Quality Report, click here. Eugenio H. Zabaleta, PhD, is a Clinical Chemist at OhioHealth Mansfield Hospital. He is also Part-time Lecturer at Cleveland State University Graduate Clinical Chemistry Program in Cleveland, OH. He graduated from the Catholic University of Cordoba (Argentina) with a degree in Biochemistry and received his PhD in Chemistry from the University of Akron. His training in Clinical Pathology was at the Hospital Provincial San Roque in Cordoba. In his native country he was the Laboratory Medical Director at the Clinica Del Sol, a clinic devoted to mother-and-child care with neonatology intensive care services. Dr. Zabaleta performed a fellowship at OhioHealth Mansfield Hospital Laboratory. Clinical laboratories provide valuable testing services to their institutions, patients and communities but are operating in increasingly complex and competitive environments. Healthcare reform continues to evolve and with this comes a responsibility by both the laboratories and clinicians to understand the compliance requirements associated with providing testing services. Violation of the laws can put both the laboratory and clinician at risk for criminal and civil penalties. Understanding the state and federal statutes associated with marketing testing services to new and existing clients will enable clinical laboratories to identify risks associated with kick-backs and fraud and abuse. To ensure proper use of funds, Medicare and private payors are increasing the frequency and depth of the audits to clinical laboratories. These audits are being performed to ensure medical necessity, proper utilization of specific test codes and types, as well as proper collection of co-pays and co-insurance. By understanding the laws and guidelines, clinical laboratories can develop robust compliance programs to reduce risks and provide transparency to their healthcare system, clients and payor network. This presentation will provide an overview to the key laws and statutes as well as address a variety of compliance requirements that clinical laboratories must adhere to mitigate legal and financial risks. Compliance requirements and common issues related to laboratory billing will be identified. Examples of non-compliance will be reviewed. Also addressed within the presentation will be the risks clinical testing laboratories commonly have associated with payor audits. Elizabeth Sullivan is a member of the firm’s National Healthcare Practice. She began her legal career as an associate in the Healthcare Practice group and recently returned to McDonald Hopkins. For the past four years, Liz served as associate counsel for The Cleveland Clinic Foundation where she provided regulatory advice and transactional guidance to various service lines, including the clinical laboratory, professional pathology, imaging, transplant, and remote and distance health teams. During her career, Liz has assisted clinical laboratories, hospitals, physician specialty groups, telehealth providers, transplant centers, surgery centers, healthcare associations, pharmacies, and other healthcare providers on regulatory, licensing, compliance, reimbursement, contractual, and corporate matters. This presentation will address important provisions of the law, including the new data reporting responsibilities for applicable laboratories, details about and timeframes for reporting private payer information, and information on the annual rate reductions allowed under the legislation. The presentation will also help laboratories translate the Final Rule to identify required actions and potential impacts for their laboratories. Interpret the provisions of the Final Rule of Section 216 of PAMA which reforms payment to laboratory tests paid under the Clinical Lab Fee Schedule. Identify and apply the new reporting responsibilities for their laboratory and understand the reporting timeframes and the impact it will have on their laboratory. Recognize the methodology and opportunities to engage with CMS on the proposed payment rates before they become final. Ms. Branham leads the AdvaMed’s policy work in a number of areas, including diagnostics payment, coverage issues, and comparative effectiveness. Ms. Branham has spent most of her career focusing on healthcare regulatory and legislative issues involving Medicare coverage, coding, reimbursement and quality for providers and suppliers of Medicare items and services, including serving as a senior legislative analyst in the Centers for Medicare & Medicaid Services (CMS) Office of Legislation. Julie Khani joined the American Clinical Laboratory Association, ACLA, in 2013 as Senior Vice President, and was named Executive Vice President in 2016. In her current role Ms. Khani oversees the advocacy, policy and communications functions at ACLA and leads association efforts on implementation of the Clinical Laboratory Fee Schedule (CLFS) provisions of the Protecting Access to Medicare Act. clinical laboratory sciences by the ASCLS P.A.C.E.® Program. © 2018 | Whitehat Communications, a division of Martek Inc.